Note: Repost from Selling Power. Back to the future. 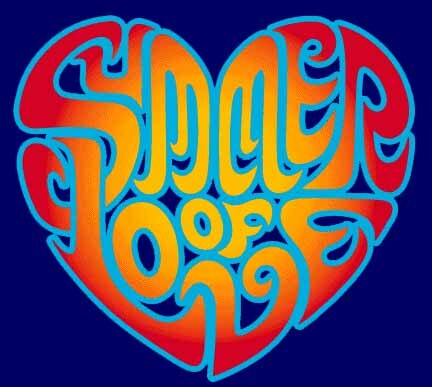 Was Dreamforce a corporate event, or a counter-cultural San Franciscan summer of love replete with shouts for an “Enterprise Uprising” (aka Arab Spring)? Hard not to get caught up in the fervor. Now that I’m returning to Earth from my Metallica-induced ‘cloud high’, I find myself searching for not just the meaning of life, but the means in which to make the grandiose vision of the Social Enterprise a grounded reality — and to enable the kind of hard metrics that most senior executives crave in order to rationalize the required investment and resource allocation. Yet with all the hoopla, one inescapable truth remains. How is it that companies spend over $18 billion per year on CRM solutions, but studies show they are spending less and less time selling? Afterall, isn’t the essence of social selling, well, social? And further, isn’t this CRM spend only the beginning, not the end? These days the average cost of a direct sales rep is in excess of $250,000, fully burdened (meaning, all-in). Uplift that fixed expense by another 20-30% to cover the cost of sales operations and management — and you get to appreciate the significant day one investment most enterprises are dealing with when it comes to reaching out and touching their customers. Add to that the burden of feeding the machine — that is, demand generation to create a 10x deal flow so that the organization can run a 2-3x coverage model in-quarter — and the expense makes your CFO’s head spin. It’s no wonder that Sales and Marketing expenses can run upwards of 50% of revenue in some organizations. Thus, that first $18 billion needs to be as efficient and effective as possible to yield the kind of operational integrity that leverages the investment in manpower and demand gen. If not, then why even try? Creating the right discipline for managing the sales process means helping sales reps to close more business, faster. But creating the ideal environment for the perfect discipline is challenging. The best approach should detect real-time winning practices that can be used to quickly guide all reps to the right set of actions and, over time, be used to enhance sales procedures overall. But how do you learn the most effective practices and then help enable them across an organization? How do you assemble the most effective deal teams for any given sales situation? How do you ramp new reps into existing opportunities? How do you embrace personal style over company style? How do you locate the ‘real’ decision maker (not the most senior title)? How do you help existing reps find the most lucrative path forward, and the right experts at the right time in the deal cycle? And lastly, how do you give management the kind of transparency and visibility they require? And do all this without adding yet more burden onto your sales reps, who already rebel at the level of manual data entry they are asked to do? Reduce the overhead of administrative tasks and redirecting high value resources to generating revenue not managing process. Yes — there’s a novel idea — have sales people in front of customers instead of doing mundane chores. How much time is spent each week in your org on sales reviews? Some organizations spend upwards of two days each week, allocating hours to understanding what is happening with each forecasted deal. This burden keeps resource from being with customers which is why you hire a direct sales org in the first place. The goal should be to reduce the weekly process to minutes, not hours or days. Do you have metrics in place for meeting time reduction? Support automated task planning, streamlining labor intensive and error prone activity. What is the compliance rate of associating information within opportunity records? How many clicks does it take to add a task or associate an e-mail? And what is the currency of the information? If some actions take upwards of 30 clicks, then is it any wonder why adoption, compliance and currency are so low. What if you handle the same load in one, two or no clicks? Wouldn’t that yield significant improvement? Better target sales effort at prospects that are winnable and redirect resources away from lost causes as early as possible. On average, losing deals stay in the pipe twice as long as winning deals. Orgs are loathe to ‘de-clutter’ the pipe of what can only be referred to as “coverage fodder”. For some reason, big coverage factors on a 1x target seems to make management happy, that is, until deals begin vaporizing at quarter’s end (they never slip, now do they?). Having a clean, clear pipe helps allocate resource better but requires a degree of organizational integrity to let go of the failed opportunities. Lowering deal maturity days is critical. Reduce the need to build in margins and improve the accuracy of projections – projections that are critical to right-sizing production and other upstream and downstream decisions. Intellectual honesty in forecasting can be difficult to achieve primarily due to subjective and highly interpretive nature of deal stage maturity assessment. Making the process fact-based has been elusive at best, but can be done with the right pipeline management capability and transparency. What’s your forecast accuracy? How is it measured and tracked? Do you use standard measures of deal maturity? Are they uniformly applied? Provide the opportunity for detailed performance assessment and continual sales process improvement, not to mention allocate incentive compensation more fairly, to those most responsible for winning deals. Many organizations find attributing contribution difficult and thus overpay incentive compensation two and three times over. With a clear understanding of actual contribution to the deal and an understanding of behavioral characteristics associated with internal and external activity — an organization has better odds of improving productivity and process, not to mention retaining the most valuable performers. Critical to this effort is understanding and measuring key quantitative metrics surrounding individual contribution across different roles in the transaction, inclusive of actual contribution and frequency of contribution, responsiveness and timeliness of interaction, throughout the entire deal lifecycle. Bottomline, modest improvements in sales efficiency and effectiveness can yield significant short term ROI — not including higher deal win rates which would boost the return exponentially. Take a solution that costs an incremental $45/per user/month but yields a certifiable 25% increase in sales operation efficiency and a 10% improvement in management time. Based on average comp, you would likely see a 400% ROI within 12 months. Now you can rationalize the underpinnings of a socially connected enterprise, one that engages with customers using less, more-focused, resources. Seems like a huge win for the Social Enterprise. All together, an organization that is not only able to create these metrics, but improve these metrics will become the envy of their industry, and the overall market leader, if not already. But, to quote one industry pundit, “it’s not about using media, it’s about being social, to engage with customers through multiple means and touch points.” For any leading enterprise to be social, its sales people must become more effective and efficient — in other words, they must spend more time in front of and with customers. Now that’s love. Note: This is the long form of a guest post in Selling Power.